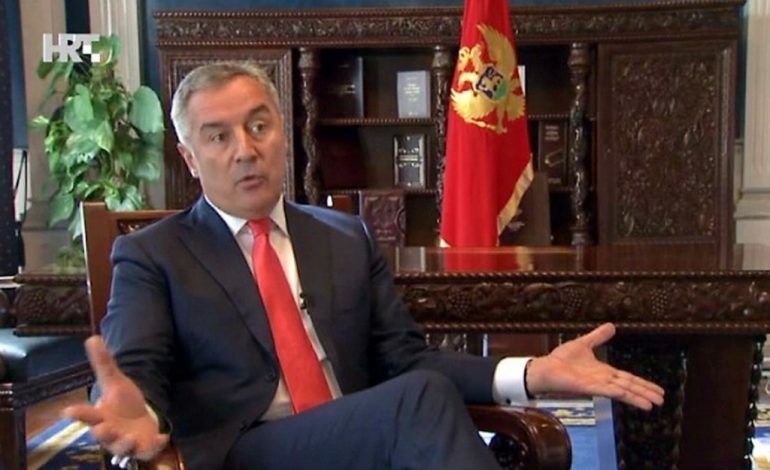 Montenegrin President Milo Gjukanovic, who is facing mass protests along with neighboring countries Serbia and Albania, told Deutsche Welle that he does not like using the term “Macedonian scenario” to describe what is happening to his country. Serbian authorities have adopted the term for the on-going protests, which largely resemble the political crisis and the Colored Revolution that began in Macedonia in 2015. The term is now adopted across the region and it means that the protests are influenced by foreign countries, include colorful protests in the large cities during which confrontation with the police is sought in order to present the Government as violent, and the ultimate goal is to pressure the country to make concessions on its national interests. This term is not used in Montenegro, maybe some of the opposition would mention it from time to time. I can’t judge whether there are foreign intersts in the organization of the protests in Belgrade, but I can say that there, in Albania and Montenegro there is a shared nervousness on the part of the organizers who want to bring down the Government in ways not provided in the Constitution and the laws, which say that the Government is changed through elections, Gjukanovic told DW. He also praised the Macedonian Government, insisting that it was able to resolve the name issue with Greece and to open a path to NATO and EU membership. Gjukanovic supported NATO membership for his country, and this position of his is widely credited with the international support he received despite long standing allegations of crime and corruption. But now that this task is accomplished, the Montenegrin opposition is picking up and demands that he is investigated. Gjukanovic insisted that further protests in Montenegro and Albania may endanger the EU accession talks, and asked for international support that these Governments remain stable, despite the corruption allegations against them.